Prior to the establishment of the Japanese American National Museum in Los Angeles in 1992, the most famous history museum in the United States, the Smithsonian’s National Museum of American History in Washington, D.C., honored the history of Japanese Americans in its exhibition “A More Perfect Union: Japanese Americans and the U.S. Constitution,” which remained open for more than 16 years from Oct. 1, 1987-Jan. 11, 2004. This original exhibit, created as part of the celebration of the Bicentennial of the U.S. Constitution in 1987, was the first time that the National Museum of American History had ever done an exhibition about Japanese Americans. Now, 12 years later, the National Museum of American History has opened “Righting a Wrong: Japanese Americans and World War II,” a yearlong exhibition about Executive Order 9066, the document signed in 1942 by President Franklin D. Roosevelt that shaped the lives of Japanese Americans during the war and beyond. This unique exhibition, which opened officially on Feb. 17 in the Albert H. Small Documents Gallery, combines original artifacts, photographs and historical information from one of the darkest periods in American history. It will remain open until Feb. 19, 2018. Feb. 19 marked the 75th anniversary of E.O. 9066, which Roosevelt signed just two months after Japan’s attack on Pearl Harbor. The order resulted in the imprisonment of 75,000 Americans of Japanese ancestry and 45,000 Japanese immigrants who were prohibited by law from becoming naturalized American citizens. Abruptly stripped of their homes, livelihoods and belongings, more than 120,000 individuals were housed in 10 large, barbed-wire-enclosed incarceration camps and dozens of other installations scattered throughout desolate landscapes in the U.S. from March 1942-March 1946. More than 40 years later, the U.S. Congress formally recognized that the rights of the Japanese American community had been violated, resulting in the signing of H.R. 442 by President Ronald Reagan. H.R. 442, known as the “Civil Liberties Act of 1988,” provided an apology and restitution of $20,000 to those living Japanese Americans who were incarcerated during World War II. Work in opening the “Righting a Wrong” exhibit began in 2015. The museum’s Japanese American history specialist, Noriko Sanefuji, began the process of searching for artifacts and documents from across the country under the leadership of Project Director Jennifer Locke Jones. Jones had worked on the original “A More Perfect Union” exhibition, as well as the Smithsonian’s American Library Association’s traveling exhibition from 1995-99 and served as exhibit curator of its “A More Perfect Union” online site, which debuted in 2001. 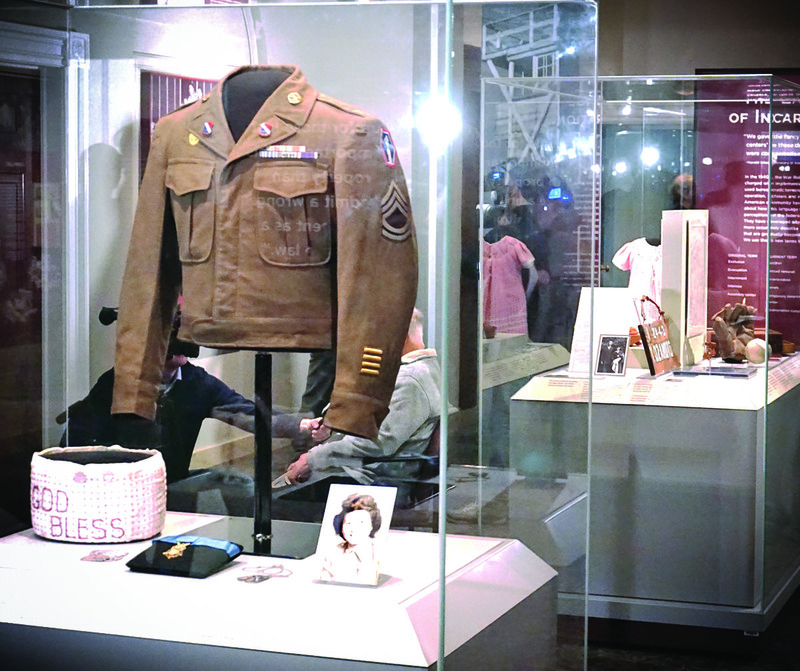 “Having worked on ‘A More Perfect Union’ exhibit in 1987 and now having curated this new exhibition ‘Righting a Wrong: Japanese Americans and World War II,’ I have found that collecting new objects for this exhibit has allowed us to tell more personal stories in the broader context of the history of the incarceration experience,” Jones said. “A baby bracelet helps us show the stories of the cycle of life inside the camps, and more personal family photographs give the visitor a more intimate way to connect with this history. Continued Jones: “When families donate materials such as the Medal of Honor awarded posthumously to Joe Nishimoto, who volunteered to serve with the 442nd Regimental Combat Team after being incarcerated in the camp at Jerome in Arkansas, to the national collections, we are able to preserve these for future generations of scholars and historians and make these collections accessible on the web through digitization. “As the National Museum of American History, we hope that visitors to the museum, including the younger generations, learn about the past and make connections to the stories of people who were often the same age as they are, and to engage in the dialogue about what it would be like if this happened to them. 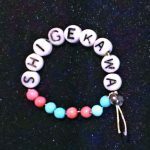 Connecting with youth through objects and stories of individuals who were youth when they were incarcerated gives them something to relate to and helps them understand the history of the Japanese American community during World War II,” Jones added. “I would hope it would inspire them to dig deeper into these stories and to ask questions about our past — so that as Americans we can reflect upon this time in American history and how it shapes us as Americans. It’s only through our collections that we can tell a more complete story,” Jones concluded. Leslie Soule, a representative from the Puyallup Valley Chapter of JACL, was present at the opening and gave her own perspective on the exhibition. A key highlight of the new exhibition is the viewing of the original Executive Order 9066 document, which is on loan from the National Archives and Records Administration. Currently, the museum is displaying the first page of Roosevelt’s original executive order — during the run of the exhibition, all three pages of the original document will be on display. The museum clearly depicts how this document shaped the lives of Japanese Americans during World War II and how it continues to resonate throughout the country today. 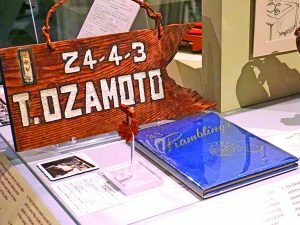 Through the National Museum of American History’s Japanese American History Initiative, it hopes to ensure that the stories and objects of Japanese Americans are preserved for future generations. The museum receives more than 3 million visitors per year and millions more online. The Smithsonian is open daily from 10 a.m.-5:30 p.m., except Dec. 25. Visitors may check the website for updates and special holiday or summer hours (http://americanhistory.si.edu/visit/hours). “Righting a Wrong: Japanese Americans and World War II” has been made possible through a donation by the Terasaki Family Foundation, as well as the Japanese American Citizens League and AARP. For additional information about the Japanese American camps and the museum’s collection, the public may visit http://s.si.edu/JapaneseCampsWWII and http://amhistory.si.edu/perfectunion/experience/index.html.